Informal Poll: What Are YOU Reading on Your Kindle? For several years, I started or participated in a monthly poll on the USA Amazon Kindle discussion boards asking people a simple question: what are you reading on your Kindle? Unfortunately, the discussion boards on Amazon have gone away and I have periodically hosted something similar on our website. I’ve received some great tips with past polls, finding out what others are reading on their Kindle, and found some “new” authors I generally wouldn’t have found using my hunt-and-peck method. While I have certainly enjoyed the “mainstream” author suggestions over the years, I’ve also enjoyed a lot of independent authors from each month’s poll I never would have heard of previously. If you are reading this on your e-Ink Kindle or the blog’s free email subscription, the blog’s free reader app for your Fire tablet or Android device – or anywhere other than the blog’s website – and would like to check out the poll and find some new things or, better yet, tell others what you are reading, just click here or type in http://geni.us/1018poll into your web browser, scroll down to the bottom of the post, and start typing away in the comments section! As I type this up on Wednesday night for publication Thursday morning, I am almost finished with King Rat by James Clavell. I first read this in the early 1980’s and enjoyed it then when I was reading through all of Clavell’s books in order. This was one of those I remembered over the years often thinking of it; I picked it up a while ago for my Kindle and just now got around to re-reading it. I’m a little over 90% through it (and hope to finish it tonight), and it is just as good today as it was 35 or so years ago: actually, I think it is outstanding and think Clavell is one of those authors whose writing is timeless and will never go out of style. If you haven’t read it before, or you did and it has been some time, I would recommend you give it a try. We’d really like to hear what you’re reading right now – I, for example, may find something interesting from your list I want to read (It’s been known to happen!). If you are reading this on your Kindle – or anywhere other than the blog’s website – and would like to check out the poll and find some new things or, better yet, tell others what you are reading, just click here or type in http://geni.us/1018poll into your web browser, scroll down to the bottom of the post, and start typing away in the comments section! Anyway, that’s all for today. Have a great rest of the week! October Informal Poll: What Are YOU Reading on Your Kindle? For several years, I started or participated in a monthly poll on the USA Amazon Kindle discussion boards asking people a simple question: what are you reading on your Kindle? I stopped doing it on the Amazon discussion boards and started hosting it on the blog’s website. If you are reading this on your e-Ink Kindle or the blog’s free email subscription – or anywhere other than the blog’s website – and would like to check out the poll and find some new things or, better yet, tell others what you are reading, just click here or type in http://smarturl.it/1017poll into your web browser, scroll down to the bottom of the post, and start typing away in the comments section! In last month’s poll, I told you I had been on a “bad” streak lately. However, as I type this up on Sunday night for publication Monday morning, things have been going a lot better. Today, I finished Lessons from a Third Grade Dropout by Rick Rigsby. I thought it was very good and rated it a 5 out of 5 stars (very unusual for me). I saw a video of the author speaking about his father in what appeared to be a commencement ceremony, and sought out the book afterwards. It is a quick read, but the life lessons will challenge you, make you reflect on your life, and have you sit back and think on how you can be a better person as well as make a difference in the world. I picked this one up for $3.99 in the Kindle store, and certainly received a heck of a lot more in return. We’d really like to hear what you’re reading right now – I, for example, may find something interesting from your list I want to read (It’s been known to happen!). If you are reading this on your Kindle – or anywhere other than the blog’s website – and would like to check out the poll and find some new things or, better yet, tell others what you are reading, just click here or type in http://smarturl.it/1017poll into your web browser, scroll down to the bottom of the post, and start typing away in the comments section! Anyway, that’s all for today. Have a great week! If you are reading this on your Kindle or the blog’s free email subscription – or anywhere other than the blog’s website – and would like to check out the poll and find some new things or, better yet, tell others what you are reading, just click here or type in http://smarturl.it/0917poll into your web browser, scroll down to the bottom of the post, and start typing away in the comments section! I’ve actually been on a bad streak lately, and had some real disappointments. I finished Harlan Coben’s new title, Don’t Let Go, yesterday and it was so-so. Coben is one of my favorite authors, and I always pre-order his stuff so I stayed up way past my bedtime and finished it just after midnight. At $14.99, it was expensive and very short – and disappointing as it seemed as if he was tired of writing and just ended it. I won’t be pre-ordering his titles in the future. I also read the first three titles of the Commander series this week (the first book was The Commander), a science fiction series by the husband / wife writing duo penned CJ Williams. The first book was pretty good, so I quickly devoured the next two. The series had a lot of potential yet went downhill fast: the third book really wasn’t realistic with the scenes and the characters just became goofy. I’m glad all three were “free” under the Kindle Unlimited program. I also read two other sci-fi titles that were about the same. One of them, I just put down and deleted from my Kindle it was that bad. Luckily, my Kindle has a rather large electronic “to be read” pile so I am sure I will start something new for the weekend. We’d really like to hear what you’re reading right now – I, for example, may find something interesting from your list I want to read (It’s been known to happen!). If you are reading this on your Kindle – or anywhere other than the blog’s website – and would like to check out the poll and find some new things or, better yet, tell others what you are reading, just click here or type in http://smarturl.it/0917poll into your web browser, scroll down to the bottom of the post, and start typing away in the comments section! Anyway, that’s all for now. Have a great weekend! I’ve received some great tips with past monthly polls, finding out what others are reading on their Kindle, and found some “new” authors I generally wouldn’t have found using my hunt-and-peck method. While I have certainly enjoyed the “mainstream” author suggestions over the past year, I’ve also enjoyed a lot of independent authors from each month’s poll I never would have heard of previously. If you are reading this on your Kindle or the blog’s free email subscription – or anywhere other than the blog’s website – and would like to check out the poll and find some new things or, better yet, tell others what you are reading, just click here or type in http://smarturl.it/616poll into your web browser, scroll down to the bottom of the post, and start typing away in the comments section! I’ll start off this month’s poll by saying I‘m reading Life’s Golden Ticket , by Brendon Burchard, and I am about 70% through it. How I found this book is a rather roundabout story as it is not my usual science fiction or thriller title: a friend of my wife’s recommended it to her, she texted me from wherever she was having the discussion to send it to her Kindle, I read the book description and thought I would give it a try as well. I’m glad I did as it is very good – while clearly a motivational / self-improvement title it is told in a story type of way, and I could see this being made in to a successful movie (maybe that is in the works or has already happened?). You’re learning or reaffirming many life lessons, and it has made me stop and think back on some of the things I am doing in my life. In a way, it reminds me a lot of The Five People You Meet in Heaven by Mitch Albom. We’d really like to hear what you’re reading right now – I, for example, may find something interesting from your list I want to read (It’s been known to happen!). If you are reading this on your Kindle – or anywhere other than the blog’s website – and would like to check out the poll and find some new things or, better yet, tell others what you are reading, just click here or type in http://smarturl.it/616poll into your web browser, scroll down to the bottom of the post, and start typing away in the comments section! Anyway, that’s all for now. Have a great rest of your week! For a little over three years, I started or participated in a monthly poll on the USA Amazon Kindle discussion boards asking people a simple question: what are you reading on your Kindle? I stopped doing it on the Amazon discussion boards and started hosting it on the blog’s website as, after all, we need each of your input here on the blog! Truth be told, I’ve dropped the ball and forgot to post this last month (and for many months prior to last month), so no time like the present to re-start it…. If you are reading this on your Kindle or the blog’s free email subscription – or anywhere other than the blog’s website – and would like to check out the poll and find some new things or, better yet, tell others what you are reading, just click here or type in http://smarturl.it/316poll into your web browser, scroll down to the bottom of the post, and start typing away in the comments section! We’d really like to hear what you’re reading right now – I, for example, may find something interesting from your list I want to read (It’s been known to happen!). If you are reading this on your Kindle – or anywhere other than the blog’s website – and would like to check out the poll and find some new things or, better yet, tell others what you are reading, just click here or type in http://smarturl.it/316poll into your web browser, scroll down to the bottom of the post, and start typing away in the comments section! Informal Poll – What Are You Reading on Your Kindle? For a little over three years, I started or participated in a monthly poll on the USA Amazon Kindle discussion boards asking people a simple question: what are you reading on your Kindle? I stopped doing it on the Amazon discussion boards and started hosting it on the website as, after all, we need each of your input here on the blog! Truth be told, I’ve dropped the ball and forgot to post this last month, so no time like the present to re-start it…. If you are reading this on your Kindle – or anywhere other than the blog’s website – and would like to check out the poll and find some new things or, better yet, tell others what you are reading, just click here or type in http://smarturl.it/4314poll into your web browser, scroll down to the bottom of the post, and start typing away in the comments section! Here’s how this works – on the blog’s website (using the link above) or on the blog’s Facebook page at https://www.facebook.com/fkbooks , list a book you are currently reading or just recently read on your Kindle, whether you would recommend it, did you get it free, and anything else you would care to share. I’ll start off this month’s poll by saying I‘m reading Missing You , by Harlan Coben: his standalone (i.e., non Myron Bolitar series) books are some of my favorites, and I had pre-ordered this a couple of months ago; if you like a good thriller with lots of unexpected twists and turns, I’d highly recommend his books. This one is good, but compared to his other thrillers – where I had a hard time putting my Kindle down and staying up really late in order to finish – I’m not as in to this one as I’ve been with his other offerings. I’m usually a voracious reader, but I’ve been plugging away at this one for over a week now: I think that is a function of me just being tired as I’ve been traveling a bit with my day job (and am beating this post out in a hotel room right now). I’m at the 51% mark right now and hope to finish it before the weekend is over. Your reviews don’t need to be a long dissertation of the book, I like to keep them short, sweet, and hopefully to the point (some people think I am too blunt on things I dislike, but I am at least giving you my honest opinion! ); you can see all of the reviews I have written if you click here or type in http://smarturl.it/mgreviews – if you think any of them were helpful, I would appreciate a “Yes” vote just underneath the reviews on the Amazon website. Similar to how I’m behind on my reading progress, I’m also behind on writing reviews: I have about two dozen books I’ve finished that need reviews written! We’d really like to hear what you’re reading right now – I, for example, may find something interesting from your list I want to read (It’s been known to happen!). If you are reading this on your Kindle – or anywhere other than the blog’s website – and would like to check out the poll and find some new things or, better yet, tell others what you are reading, just click here or type in http://smarturl.it/4314poll into your web browser, scroll down to the bottom of the post, and start typing away in the comments section! For a little over three years, I started or participated in a monthly poll on the USA Amazon Kindle discussion boards asking people a simple question: what are you reading on your Kindle? I stopped doing it on the Amazon discussion boards and started hosting it on the website as, after all, we need each of your input here on the blog! Truth be told, I’ve dropped the ball and forgot to post this for a while, so no time like the present to re-start it…. If you are reading this on your Kindle – or anywhere other than the blog’s website – and would like to check out the poll and find some new things or, better yet, tell others what you are reading, just click here or type in http://smarturl.it/21314poll into your web browser, scroll down to the bottom of the post, and start typing away in the comments section! 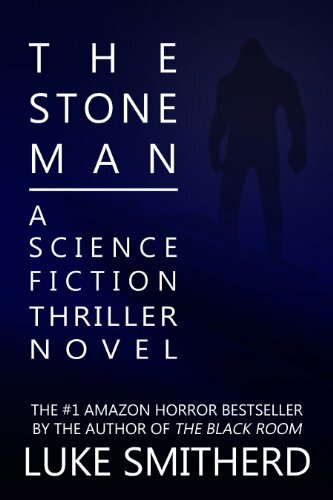 I’ll start off this month’s poll by saying I‘m reading The Stone Man , by Luke Smitherd: this was one of the Kindle Daily Deals for this week, and I picked it up because it sounded interesting. This has actually been a tough read and hard to get into and understand – I’m at the 47% mark, and I am seriously debating stopping and deleting it from my Kindle: that’s a pretty drastic action on my part, as I rarely just stop reading halfway through many things in the sometimes fragile hope it will get better. Finally, here’s my standard continuation of each request for prior participants in the poll: if you like or dislike a title you have read, in addition to telling us about it in this informal poll, how about writing a book review on the Amazon website? The review will certainly last and be visible a lot longer than this poll will. If you’re like me, you look at the customer reviews in order to see if you want to investigate a book further. Since we are all a little community here, and while I realize each review is each person’s opinion and we may not like the same thing, I know your friends and online discussion neighbors would appreciate your honest assessment of the likes and dislikes without providing a spoiler – I know I would! Your reviews don’t need to be a long dissertation of the book, I like to keep them short, sweet, and hopefully to the point (some people think I am too blunt on things I dislike, but I am at least giving you my honest opinion! ); you can see all of the reviews I have written if you click here or type in http://smarturl.it/mgreviews – if you think any of them were helpful, I would appreciate a “Yes” vote just underneath the reviews on the Amazon website. We’d really like to hear what you’re reading right now – I, for example, may find something interesting from your list I want to read (It’s been known to happen!). If you are reading this on your Kindle – or anywhere other than the blog’s website – and would like to check out the poll and find some new things or, better yet, tell others what you are reading, just click here or type in http://smarturl.it/21314poll into your web browser, scroll down to the bottom of the post, and start typing away in the comments section! This Week's Informal Poll – What Are You Reading on Your Kindle? Each month from October 2009 – January 2013, I started or participated in a monthly poll on the USA Amazon Kindle discussion boards asking people a simple question: what are you reading on your Kindle? I stopped doing it on the Amazon discussion boards and started hosting it on the website as, after all, we need each of your input here on the blog! Truth be told, I’ve dropped the ball and forgot to post this for a while, so no time like the present to re-start it…. If you are reading this on your Kindle – or anywhere other than the blog’s website – and would like to check out the poll and find some new things or, better yet, tell others what you are reading, just click here or type in http://wp.me/p2b82w-4u1 into your web browser, scroll down to the bottom of the post, and start typing away in the comments section! I’ll start off this month’s poll by saying I ‘m not reading anything – I’m traveling this week with my regular job and, as I type this up on a Thursday night (for posting on Friday morning) staring at the hotel room’s walls, I can’t decide which book to start on my Kindle Fire. How about helping me and others out by using the comment field of the blog post? Finally, here’s my standard continuation of each month’s request for prior participants in the poll: if you like or dislike a title you have read, in addition to telling us about it in this informal poll, how about writing a book review on the Amazon website? The review will certainly last and be visible a lot longer than this poll will. If you’re like me, you look at the customer reviews in order to see if you want to investigate a book further. Since we are all a little community here, and while I realize each review is each person’s opinion and we may not like the same thing, I know your friends and online discussion neighbors would appreciate your honest assessment of the likes and dislikes without providing a spoiler – I know I would! Your reviews don’t need to be a long dissertation of the book, I like to keep them short, sweet, and hopefully to the point (some people think I am too blunt on things I dislike, but I am at least giving you my honest opinion! ); you can see all of the reviews I have written if you click here or type in http://smarturl.it/mgreviews – if you think any of them were helpful, I would appreciate a “Yes” vote just underneath the reviews on the Amazon website. We’d really like to hear what you’re reading right now – I, for example, may find something interesting from your list I want to read (It’s been known to happen!). If you are reading this on your Kindle – or anywhere other than the blog’s website – and would like to check out the poll and find some new things or, better yet, tell others what you are reading, just click here or type in http://wp.me/p2b82w-4u1 into your web browser, scroll down to the bottom of the post, and start typing away in the comments section! Each month from October 2009 – January 2013, I started or participated in a monthly poll on the USA Amazon Kindle discussion boards asking people a simple question: what are you reading on your Kindle? I stopped doing it on the Amazon discussion boards and started hosting it on the website as, after all, we need each of your input here on the blog! I’ll start off this month’s poll by saying I am currently reading The Slaver Wars: Alien Contact by Raymond L. Weil. I read several short stories in this series over the last six months or so, and now that there is a full-length novel I picked it up: according to my Kindle, I am 41% of the way through it and it is pretty good. I’d start with this one, then move on to the three shorter stories in the series if you enjoyed Book One. I picked this one up for $2.99 in the Kindle store, and have received a lot more than $2.99 in entertainment value out of it. If you are reading this on your Kindle – or anywhere other than the blog’s website – and would like to check out the poll and find some new things or, better yet, tell others what you are reading, just click here or type in http://wp.me/p2b82w-4p4 into your web browser, scroll down to the bottom of the post, and start typing away in the comments section! 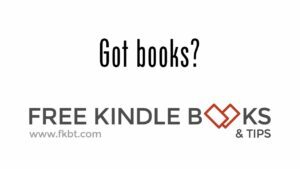 Here’s how this works – list a book you are currently reading or just recently read on your Kindle, whether you would recommend it, did you get it free, and anything else you would care to share. I’ll start off this month’s poll by saying I am currently reading Swords and Saddles by Jack Campbell. It’s a collection of longer-than-short science fiction stories (does that make sense? ), and I’ve read two of the three and it’s been pretty good so far. I usually don’t read that many short stories, but Campbell is a science fiction writer I like, and I’ve read his space opera series called The Lost Fleet. I forgot how many are in the series, but I have always pre-ordered them and clear the deck of reading material just before their release. If you like a good science fiction series, the first one in the series is The Lost Fleet: Dauntless and you can check it out if you click here . We’d really like to hear what you’re reading right now – I, for example, may find something interesting from your list I want to read (It’s been known to happen!). If you are reading this on your Kindle – or anywhere other than the blog’s website – and would like to check out the poll and find some new things or, better yet, tell others what you are reading, just click here or type in http://wp.me/p2b82w-4p4 into your web browser, scroll down to the bottom of the post, and start typing away in the comments section!